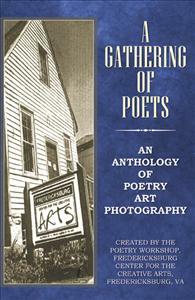 “A Gathering of Poets” is an anthology of poetry, of creative art taken from the poets’ sketchbooks, a collection of original verse expressing ideas and ideals as diverse as the writers themselves. For discriminating readers who enjoy the nuances of the written word, who are sensitive to the delicate intertwining of fact, feeling, and fantasy, “A Gathering of Poets” can provide a memorable reading experience. Open this anthology and you will be entering a showplace for creative expression. Each page turned will introduce you to, bond you to, the exquisite handiwork of a gathering of poets.